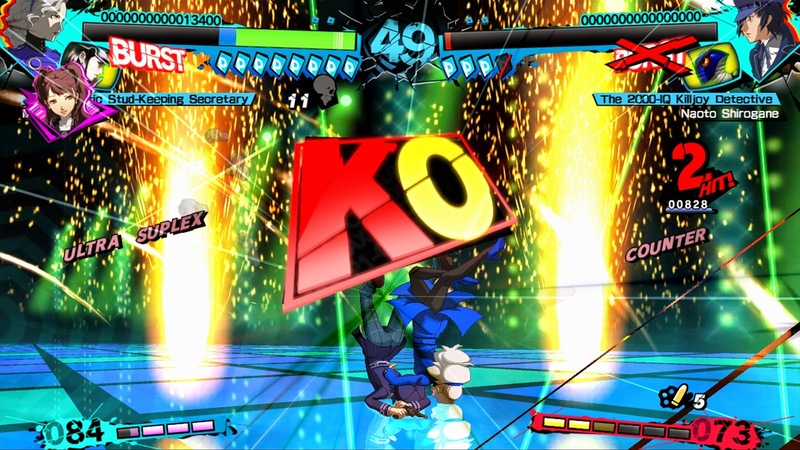 Ladies and gentlemen, I present to you brand new information regarding Persona 4 Arena Ultimax! In this article I will be talking about “The Sadastic Stud-Keeping Secretary”, Magaret! 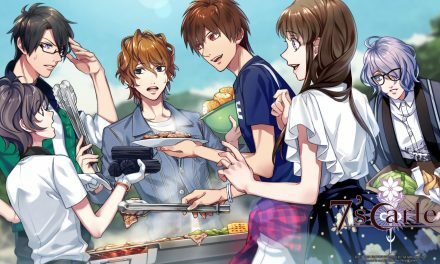 Magaret will appear as DLC along with characters Marie and Kohru Adachi. I have some more information on Margaret, such as her release date and screenshots of her on which you can find inside. Also, I have some trailers to show off for characters Chie Satonaka, Ken Amada & Koromaru, and Labrys. 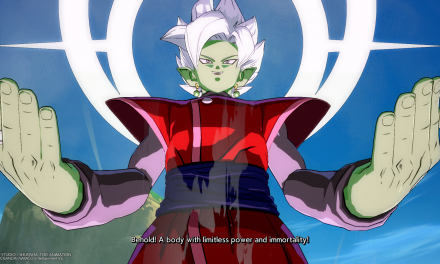 These are the typical character trailers just like the others that are featured. 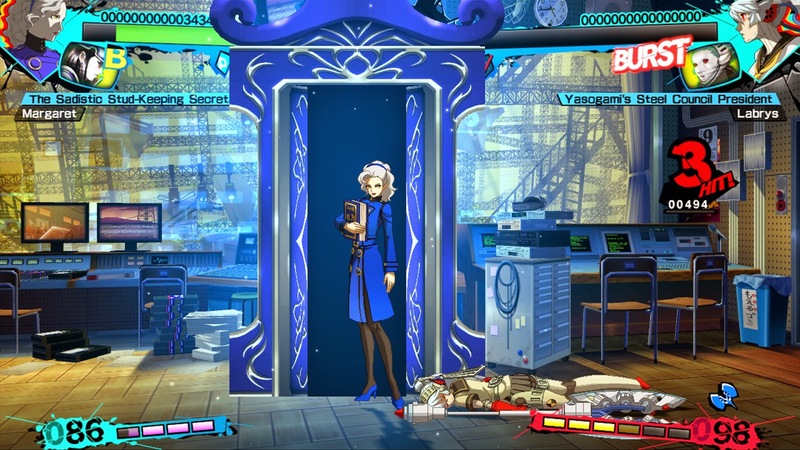 Margaret, the Empress Arcana and Velvet Room attendant from Persona 4 is confirmed as a DLC character for the Americas. 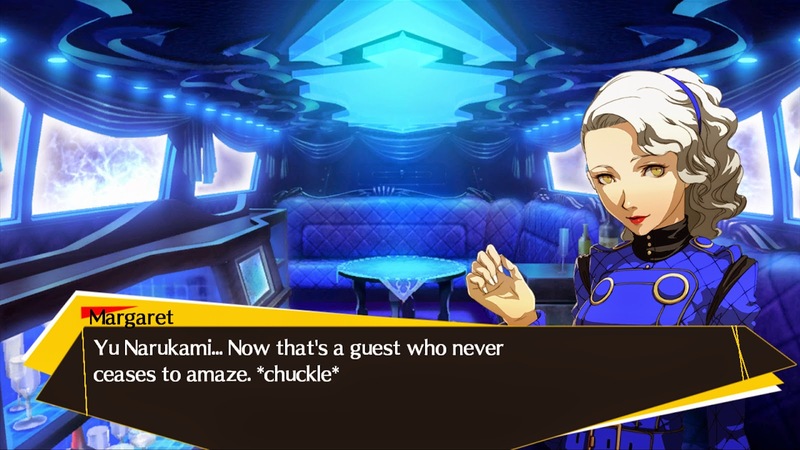 She’s setting her sights on being queen of the P-1 Climax, and will use her considerable resources to claim that title…resources that include her three Personas, Cu Chulainn, Yoshitsune, and Ardha, and a staggering eight Persona cards. 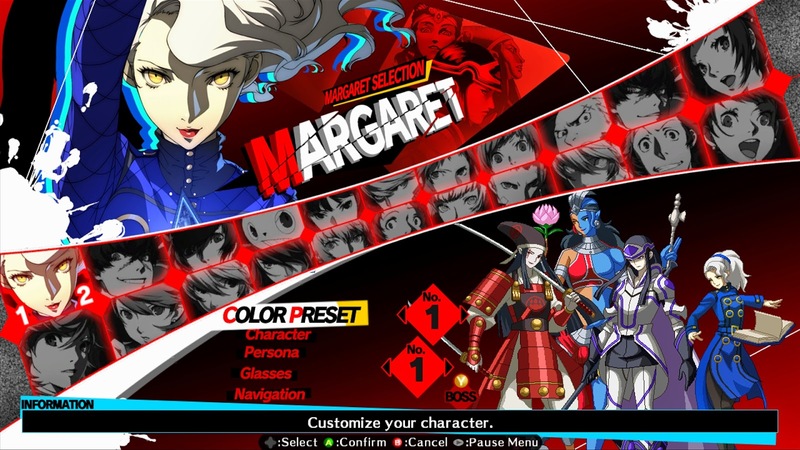 It should also be noted that Margaret will be paid Downloadable Content and release one week after Persona 4 Arena Ultimax‘s Sept. 30th launch. 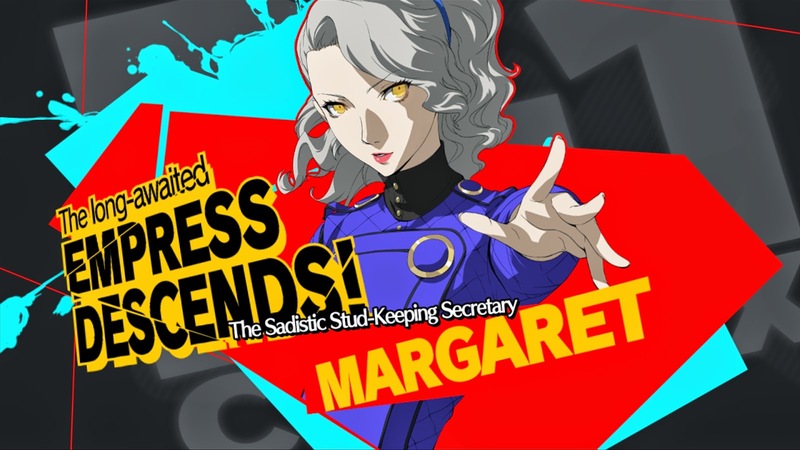 With that being said, she is not going to be part of the first week free DLC duo of Tohru Adachi and Marie. Can't wait. 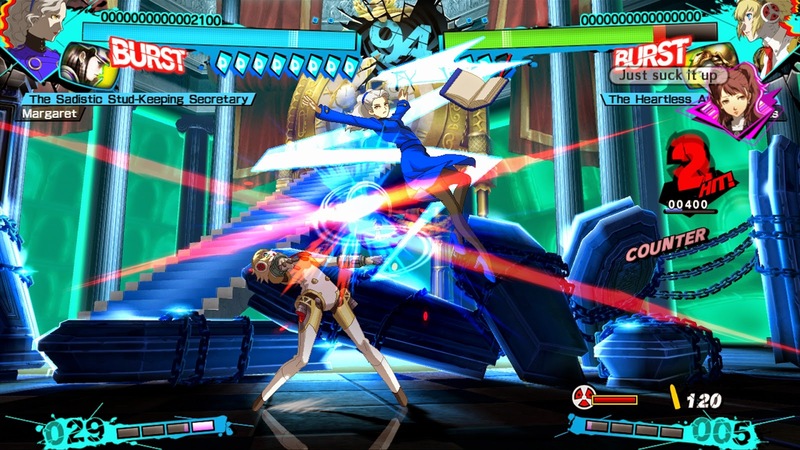 Love the Persona series.